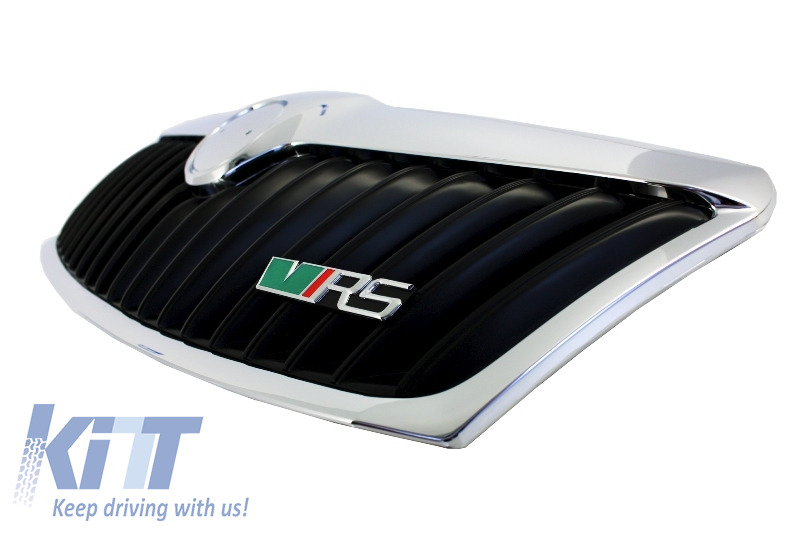 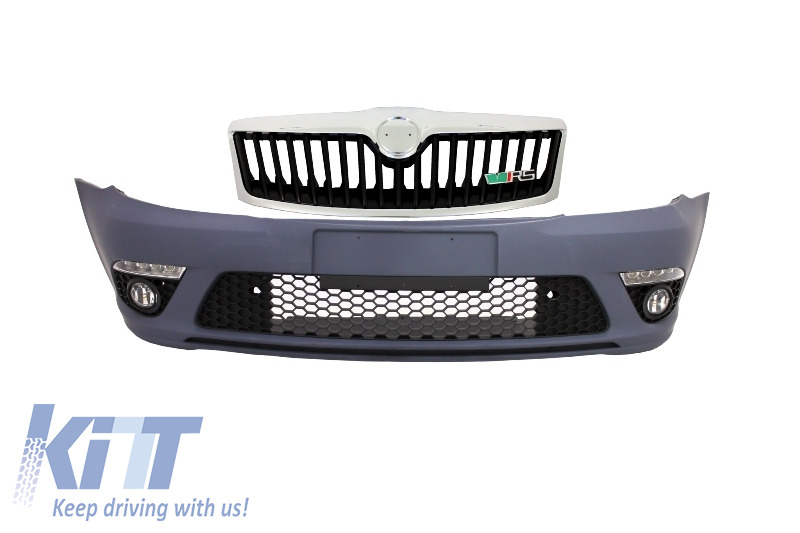 This front bumper is meant to add a sporty touch on you Skoda Octavia and convert it into a genuine RS model. 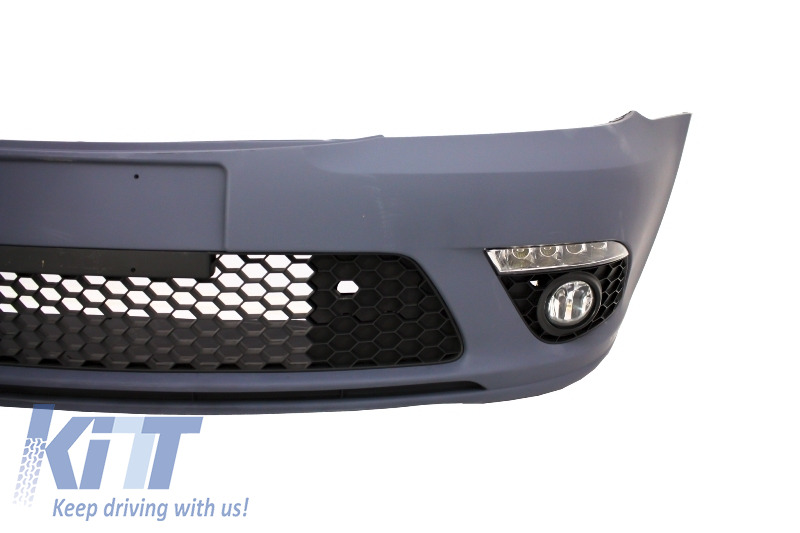 Front Bumper RS Design equipped with RS Design central grille in Chrome Finish, lower central grille, side grilles, fog lights and LED daytime running lights lamps. 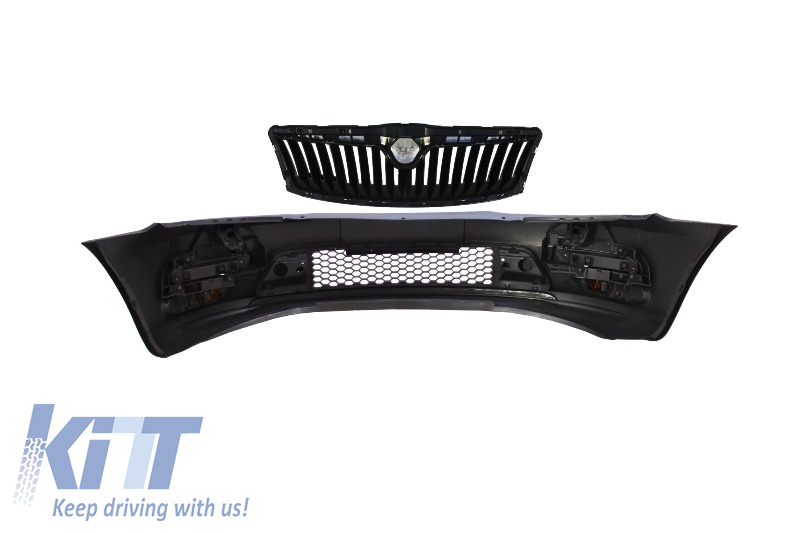 Central grille, lower central grille and side grilles in honeycomb design are made of high quality ABS plastic and black color. 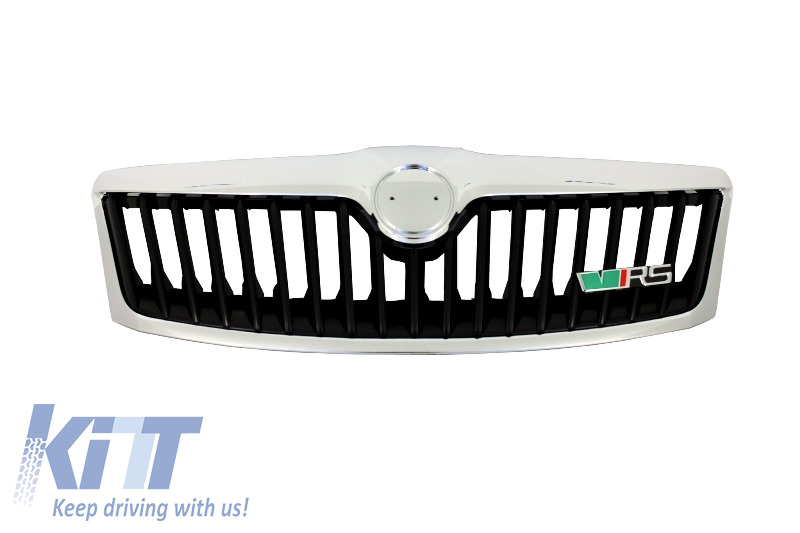 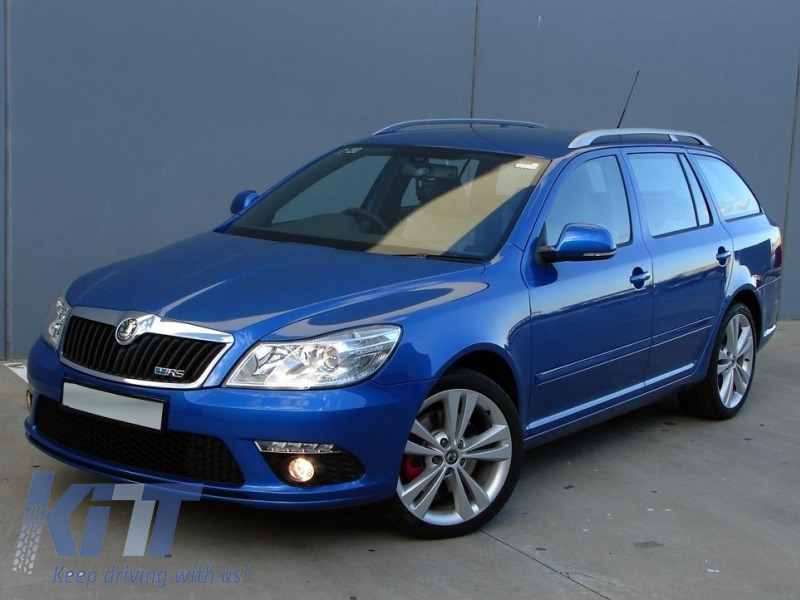 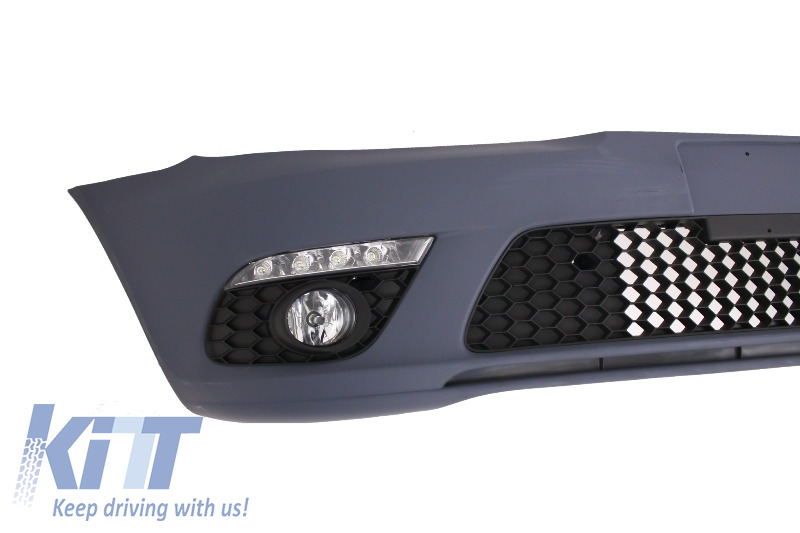 Buy it now Front Bumper Skoda Octavia 2 Facelift (2009-2013) RS!